Moving can be an exciting time for all that are involved. Unfortunately, it can also be a stressful and taxing experience for everyone. The idea of packing up all of your belongings and moving them to a new place can be overwhelming. However, the process doesn’t have to be so intimidating. By following a few important tips, you can make your moving process simple and painless. As soon as you know that you are going to be making a move, it is important to begin taking inventory of of all your belongings. By creating a list of all that you own, you will form a better idea of what items you will be bringing with you on your move. You will also find items that will not be making the move. It is important to get rid of these items before you begin packing. You don’t want to pack and transport things you don’t need. Taking inventory is easy! All you need is a pen and paper as you travel through each room in the house. Take it room by room. Make sure to look in every closet and every cabinet. Log every item big and small. By taking inventory, you will be able to accurately judge the scale of your move. As you take inventory of your belongings, you can begin to prepare for your move. Start acquiring boxes early, and gather as many as you can. It is always better to have too many boxes than not enough boxes. Boxes aren’t the only supplies you will need. You will also want packing tape to secure your boxes and valuables. Start to collect old newspapers and tissues to use to pack items securely into the boxes. You also should have markers available to label your moving boxes. Scissors, box cutters, gloves, cleaning supplies and a hand trolley are also great packing supplies to have available! As you near your moving date, start to form a moving strategy. Moving can seem like a daunting task when not carefully planned. Take your move step by step. Begin by taking inventory of your move and getting rid of unneeded belongings. Next, slowly build up a stock of moving supplies. You will want to make sure you have everything beforehand, so you don’t make any last minute trips to the store. After that, the only thing left to do is pack everything up. Go room by room and start to box things up. Keep alike items together, and make sure to label everything. And, don’t try to do everything at once. You will want to pace yourself, so you don’t get worn out. Once everything has been packed up, you will need to arrange transportation for your items. You will want to ensure that you have adequate room for all your items. Make sure all your items are secure and protected for a safe trip. When moving, it is important to stay organized throughout the entire process. If you don’t stay organized, things will get lost or put in the wrong place. A good way to stay organized is to label every box. Label the box by it contents and its destination in your new home. It also helps to label boxes as essential or non-essential. Essential boxes can contain things you will immediately need such as clothes, cookware, toiletries and bedding. By labeling your boxes, you reduce stress and stay organized! Moving, especially moving to a new state, is a tremendous task. This is not a task that you need to take on alone. While there are many moving companies in Maryland that you can use to make your move efficient and simple, we provide the best local service. Our movers in Maryland are highly skilled and trained. We have experience to help facilitate your move. 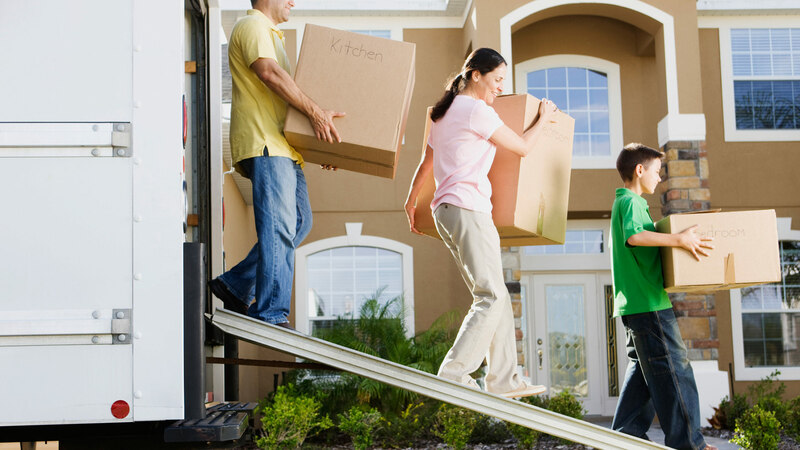 Our local moving services are available to help you and your family during your move. Contact us for all your moving needs. We would love to give you a quote of our services. We want to celebrate your relocation. From our family to yours, welcome to Maryland!